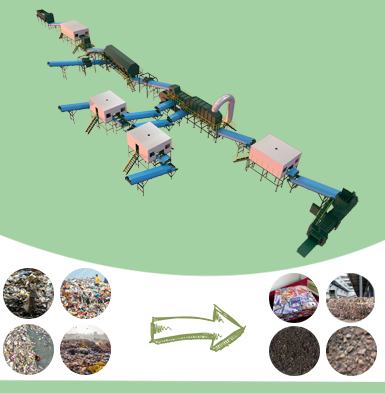 Beston straw to charcoal machine mainly bases on the principle of turning waste into treasure. 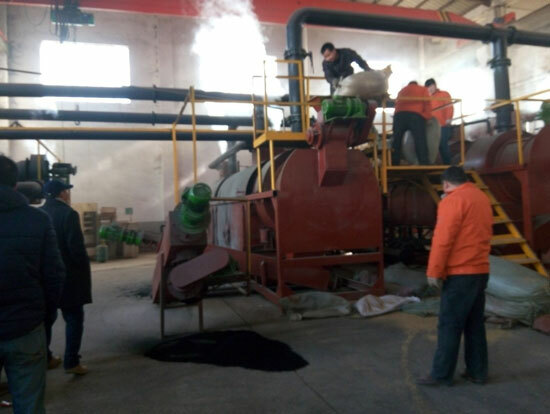 Through the procedures of high temperature carbonization, smoke discharge, sulfur emission and charcoal enrichment of biomass waste disposal technology, straw will be converted to charcoal, tar and wood vinegar that have wide applications in different industries. 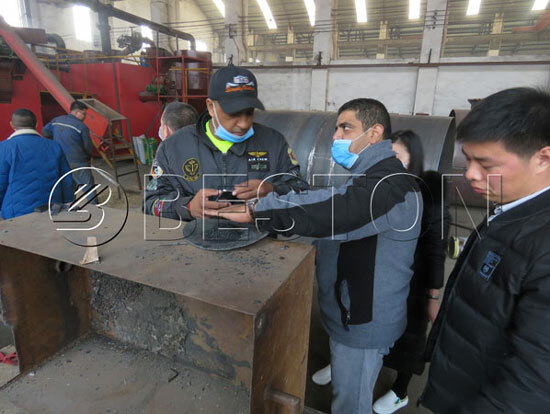 Beston (Henan) Machinery Co, Ltd. has been specialized in researching charcoal manufacturing equipment for many years, which has possessed the mature production technology and rich exporting experience. At present, our straw carbonization machines have been exported to many different foreign countries, and have been installed and ran to production in local sites. 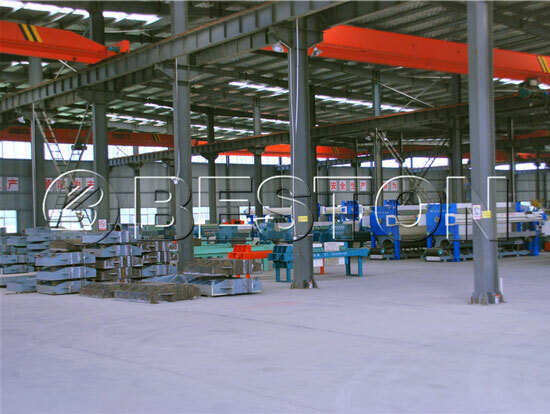 Furthermore, there are many clients from different countries have come to our company to consult our carbonization plants every year. Beston Group has become an illustrious brand in the international market. The carbonization technology of Beston company is called one fire with two steps, which can be said the domestic initial. In addition, in order to realize this great production technology, we also specially install the straw carbonization furnace that has double layers. 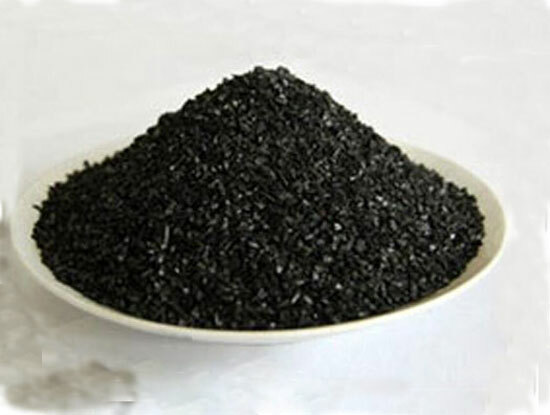 During the whole charcoal manufacturing process, the raw materials will generate charcoal and combustible gas in furnace after high temperature pyrolysis. In general, the charcoal will be collected directly after processed by cooling system. And the combustible gas will be recycled to heat biomass carbonization furnace and dry device instead of traditional fuels. In this way, it can replace traditional energy to realize real resource recycling, and the consumption of extra traditional fuel will naturally decline, which has made a great contribution to energy saving. Besides, for the purpose of environmental protection, the machine has been equipped with spay dedusting system to remove the sulfur components of combustible gas. Therefore, the straw carbonization equipment can achieve both energy saving and environmental protection. 1. 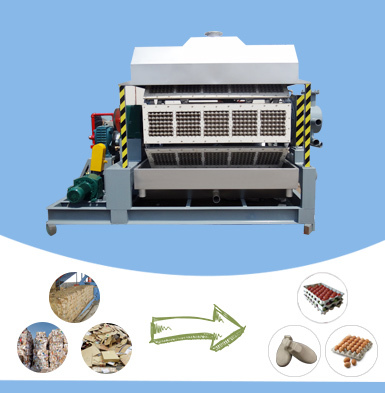 Charcoal: the finished charcoal from straw machine firstly will be processed by cooling system to decline the temperature to 30℃, and then will be collected for sale directly. 2. 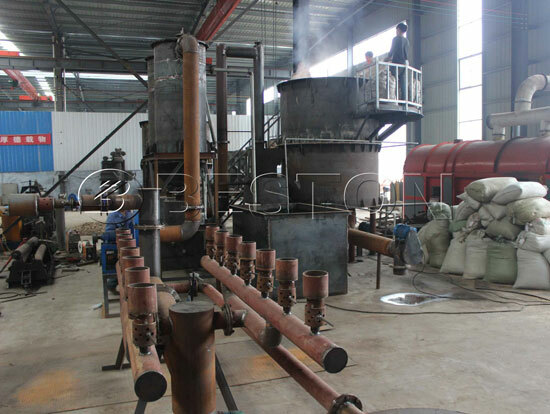 Tar and wood vinegar: after the purification of spay dedusting system, the combustible gas will be delivered to condenser system to extract tar and wood vinegar, which all belong to chemical materials. Finally the combustible gas will be recycled to provide heat energy for furnace and dry device by draft fan. 1. 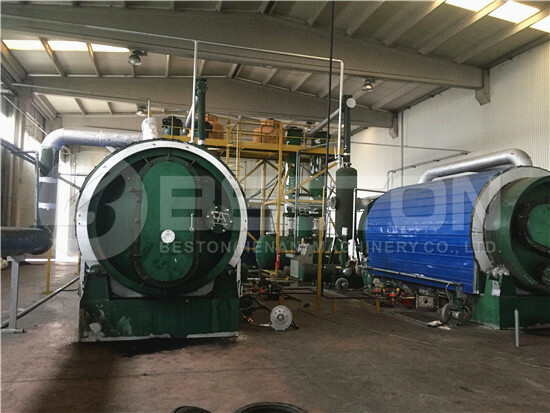 Beston straw to charcoal machine has installed horizontal type design furnace, and it can guarantee the hot source contact with raw materials as much as possible, so as to speed up the carbonization rate and raise working efficiency. Furthermore, enough hot energy can make raw materials deeply processed, to increase the quality of finished products. 2. Charcoal of straw machine has a better marketing prospect. Firstly, due to its high caloric value, on the one hand, it can be used as fuel in smelting industry; on the other hand, it also can be applied in our living life for warming and cook; meanwhile, it is also a common fuel for BBQ. Secondly, charcoal has contained much micro-elements, so it can be used as fertilizer in agricultural industry to improve the quality of soil and increase yield of crops. Finally, straw charcoal is always an additive of activated carbon. 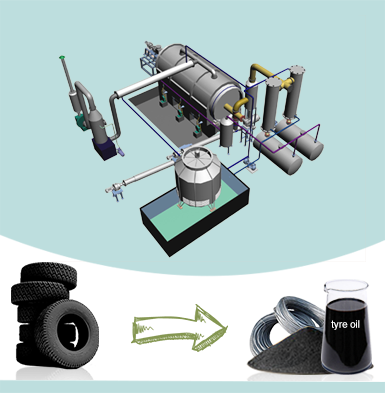 Therefore, the charcoal, as a new kind of cleaning energy, has become a hot sales product in the market. 3. 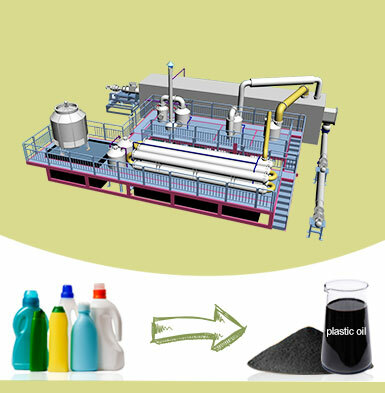 The tar and wood vinegar can be applied to produce chemical products. For example, the tar, with high corrosion resistance and wear resistance, can be used to produce oil paint or as assistant materials to produce ships, etc; wood vinegar can be used in medical treatment. 4. Apart from high efficiency and wide applications of end products, the whole machine has a lower investment: smaller floor space, continuous working pattern, cheaper raw materials, lower error rate, perfect after-sales service, etc. If you want to get more info about this respect, please enter our homepage. 5. 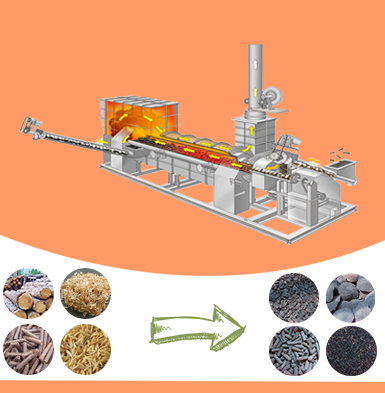 In addition to straw, our straw to charcoal equipment can process various biomass materials, such as rice husk, coconut shell, palm shell, sawdust, bamboo, wood and other organic wastes, sorted MSW, sewage sludge. So the machine has a typical feature of a single machine with wide applications. What ‘s your name? What’s your email? What kind of materials do you want to disposal?